If you live in a rental home, you’re likely no stranger to the dilemma of how to store all of your things. Major modifications are out of the question because you don’t own the property, so often, it takes some creative thinking to come up with more space. Luckily, we’ve got you covered with some clever storage ideas to create more space in your rental home. 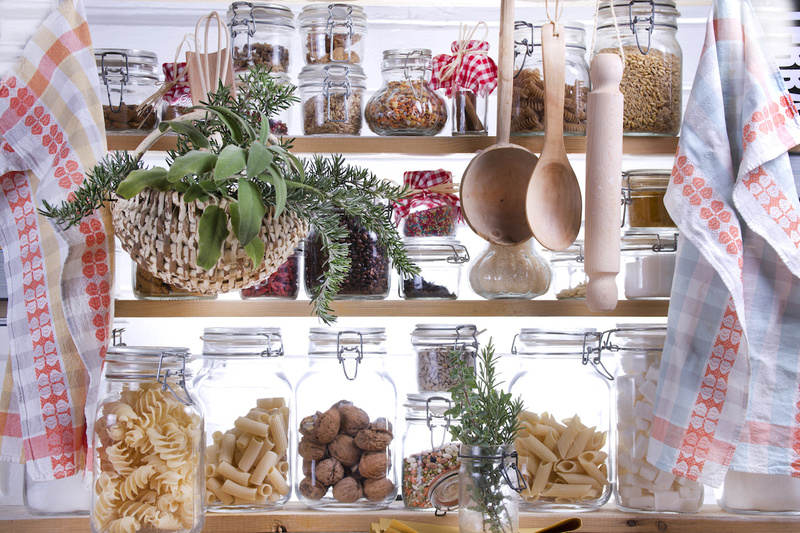 If your tiny rental kitchen lacks cabinet space, consider investing in a wire shelf to store extra kitchen items. The open design and shiny chrome has a modern industrial feel that will perk up any kitchen, you can style it to show off your favorite dishes and canisters. Several bookshelves are designed to look more like cubbies than a traditional long, open shelf. If you’re struggling to find extra storage space in your apartment, consider switching out your old bookshelf for one of these. Fill some of the cubbies with wicker or canvas baskets to hide little odds and ends that are hard to contain on a shelf. You can also strategically position a storage ottoman or two in front of the sofa to serve double duty as a footrest and hidden extra space. Everyone knows the old “hide it under the bed” trick, but simply shoving things under there has the potential for wasted space. For optimal storage capabilities, go with a platform bed frame that lifts up on hinges, making the entire storage area accessible. For a cheaper option, you may be able to DIY your own version. Bathrooms are notorious for their limited storage space, especially in a rental home. If this sounds like your bathroom, you may want to purchase a shelf that’s designed to go over the toilet. Often these include several shelves above the toilet, and may even include a cabinet with a door to hide toiletry items that you don’t want everyone to see. Related: Have You Thought About Investing in Student Properties? For more tips on making the most of your rental home, give RPM Pinnacle Phoenix a call at 480-RENTALS.